Popular single layer designation in the German cultivation area Moselle where she visited six times in the communities Brauneberg, Maring-Noviand, Neumagen, Pomerania, Wehlen and Zeltingen. The name refers in part to existing in the layers sundials and probably also on the sunny conditions. The place was already mentioned in documents in 893. 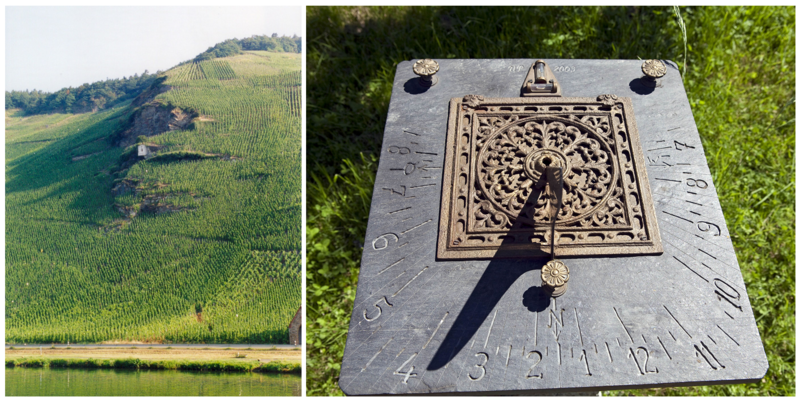 In 1842 Jodocus built Prüm (1807-1876) from the famous winery dynasty Wehlener two large sundials in the vineyards of the communities Wehlen and Zeltingen (see below) to read the time of day there. At that time, there was still no position name sundial, there were in this area about ten different layer names. From the beginning of the 20th century, then the name gradually prevailed. 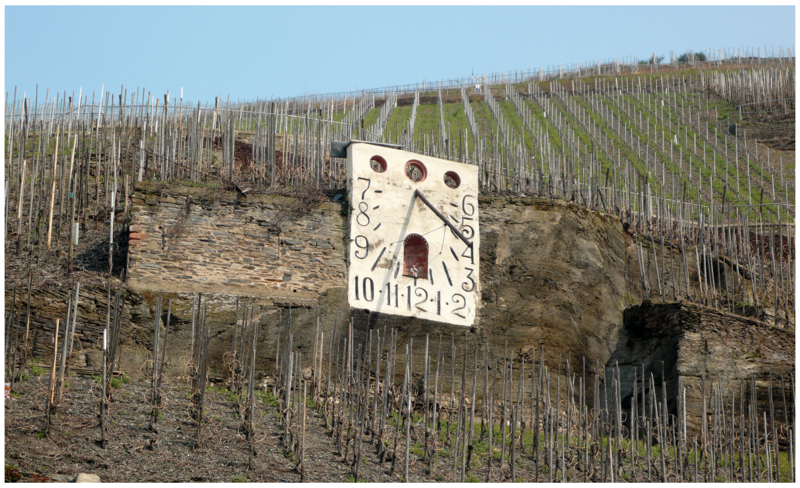 At this time, a suspension bridge was built to allow the winegrowers to work on the other side of the Moselle located location. This page was last modified at 9 November 2018 at 17:46.